Reimage Repair is an excellent software which is designed to help people protect and clean their systems. It has multiple versions for the different OS to make sure that all users can enjoy safe browsing and great computer's performance. For years, Softpedia, PCMag and similar respectable software reviewers have been recommending this software for PC users from all over the world. A feature that distinguishes Reimage from others the most is its capability to fix the system by reinstalling files that are missing, deleted or corrupted. These files are removed from the program's database and can be installed without a need to reboot the system. The strongest side of the software is Windows Repair. The program has already made a note as a unique maintenance service capable of identifying almost every issue on the system. Of course, we should not forget security. No matter that it is considered PC repair software, you can remove the virus with Reimage Repair because the software has Avira AntiVir engine built in it. Having in mind that Avira is an award-winning product that has hundreds of different rewards, there is no doubt that this app is worth to be your choice when dealing with malware. So, if Windows is not the OS you use, you can select Reimage for Mac and Reimage Mobile Cleaner for Android. Its developer is aimed to develop a tool for every operating system. After the download and purchase, users receive Reimage license key that is used to launch the full program's version. However, for checking the system or just testing the software, you can use the FREE scan that will divide your PC-related problems into three categories – Hardware, Security and Stability. The scan is typically finished after 5 minutes, and you are presented with the scan report. If the software is not capable of fixing detected issues, the scan is free. Otherwise, you are prompted to buy its license which is safe and approved by comprehensive reviewers. If you still in doubt what is Reimage Repair, we can provide you with a quick guide through its main features and abilities. This software is designed to satisfy every need of the computer user that enjoys stability and clean system. First, the user must download Reimage PC Repair from the official website by clicking the link here. This way the software will be 100% authentic and safe to use. Otherwise, people might be tricked to get a counterfeit program and infect their computers with the so-called virus. However, we can assure you that this can only happen if you use unreliable and shady sources for the download. Unfortunately, every Reimage Repair review forgets to identify that this software is designed to complete 3-stage scan to maintain computer's stability and security. We consider this a critical factor as it clearly shows how sophisticated the software is. Once it finishes the Hardware evaluation, the program identifies the amount of your memory, the speed of the hard disk, CPU parameters, and similar information. Thus, why even consider is Reimage Repair safe? Windows errors, OS issues, blue screen of death (BSoD), corrupted DLLs, computer freezes, and virus damage can also be revealed and fixed with the help of the repair tool. Secondly, the program initiates the security check. In this stage, the program detects all kinds of viruses, including adware, trojans, spyware, worms, rootkits and similar malware. Because of Avira AntiVir engine, it helps you find and remove every malware threat, spyware, and similar virus. Finally, it monitors system stability and specifies programs that crash the most. To fix each of these issues, you need to get the License Key, which you can buy for €69.95. If you are not satisfied with the service, you have 60 days to get your money back. If you can’t fix a computer with Reimage, you can use its free support, which is available no matter the country you live in and the time zone you are in. Note that this program does not offer real-time protection. Note: You can remove malware with Reimage but you can not protect your system from it, so you should not use this software as anti-virus or anti-spyware. To keep your computer protected, we recommend using it as a complementary solution to an anti-spyware or anti-virus software. You can find numerous Reimage reviews online. Despite the fact that all of them contains the opinion of different people, some of the articles are less than reliable. Unfortunately, while people are searching an answer to the question is Reimage safe, they can encounter deceptive query results created by the representatives of competitive AV systems. The competition in the AV field is very intense, and sometimes companies take twisted and very inappropriate actions to bring their competitors down to stay popular. As a result, fake reviews start showing up, derogating products of others and praising their own. This evil marketing strategy can distort the real image of a particular product and merely ruin the company’s public face. Therefore, when reading up these reviews, you should look for unbiased and objective software descriptions such as we provide below. Reimage Express is a free tool from the developer. It aims to help people fix fundamental Windows OS problems that can be detected by performing a quick scan. 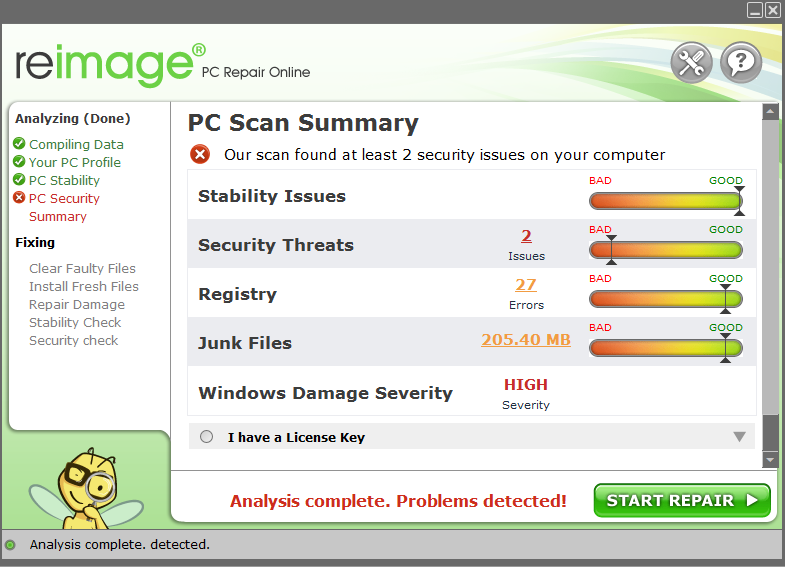 After it scans the system, it diagnoses the main system issues and reveals them in Reimage scan report. It fixes them with the patented technology. However, the program does not offer a full repair service. To get an opportunity to remove malware, fix virus damage, replace missing files with the latest ones, you have to get an activation key. Here is merely the summary of Reimage Express features. If you want to find more about this software, read a full Reimage Express review. Reimage Plus is the official website which offers the company's products for computer users across the world. The site describes the features of the software and briefly explains the gains from it. If you come across a negative Reimage Plus review, it will probably mention ads that are supposedly coming from this website. Our experts recommend not falling for such false claims. And in this case, you need to double check your computer for adware with the program or similar anti-spyware/anti-virus instead. Although, make sure that you enter a valid Reimage Repair license key and download the software only from the legitimate website. You need to make sure that your system is free of suspicious browser add-ons that are trying to earn money by showing third-party ads. In most of the cases, resetting the browser helps to solve this issue. Although, if you continue encountering suspicious advertisements you can learn more about Reimage ad removal. Mac version is excellent software from the developer which was designed explicitly for Mac OS X. Users who want to get this program are advised to use only legitimate sources. You can install it by clicking this link. This program is designed to improve system performance by removing unwanted and malicious applications that were installed on your computer by accident. It is a great solution when dealing with potentially unwanted programs. Also, Reimage for Mac offers cleaning browsing history, fixing errors and helping its users to get rid of cached space. It can be used for a daily examination of the hardware and storage because such supervision helps to keep the system fast and smooth. Comparing this version with Reimage Windows 10 or another version, they provide similar features just for different operating systems. Thus, none of them offer the security service. To keep your Mac OS X protected, you should think about anti-virus software as well. 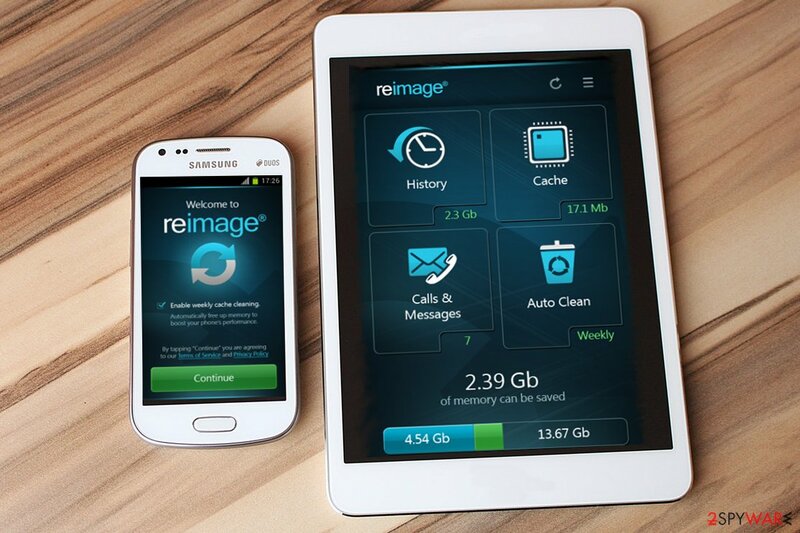 Reimage for Android is an application created to protect smartphones, tablets and other devices running on Android OS. This software has gained extreme attention as people highly search for security apps to protect not only the computer but their gadgets as well. It seems that these worries are gone as Reimage for Android can quickly help you with this havoc. Once installed, the app soon scans the device and identifies problems. It is aimed to find things that consume too much memory on phones and tablets, such as malicious apps, call/text history, cache memory, etc. Luckily this app is free and does not require Reimage repair key, so you can fix your Android without a need to pay for this service. Answers to the questions “is Reimage Repair safe” and “should it be used as the primary security software” are common on a vast of forums online. Naturally, the tool has mixed opinions. However, the only opinion you should take into consideration is the one provided by the professionals. Therefore, Reimage Repair virus posts by unreliable websites and other sources should not be taken into consideration. On the contrary, we have provided a balanced and trustworthy review of the software with all its advantages and disadvantages. We can assure you that this Reimage PC Repair review is the analysis of a qualified professional. 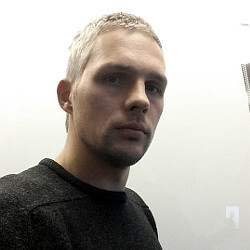 It is a virus-free program that was designed for fixing computer errors and improving its functionality by reinstalling broken files. Also, after starting its collaboration with Avira AntiVir, the tool detects malware and removes it from the system. If you have doubts regarding the trustworthiness of your version, it might be that you have a Reimage Repair crack on your computer. Beware that it is illegal to use such versions. Besides the punishment of governmental authorities, you can also be infected. 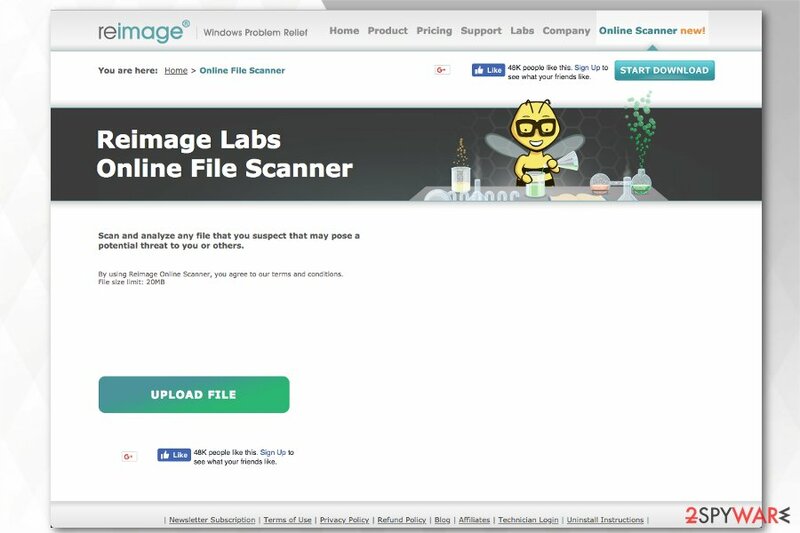 Reimage Plus has recently released a new feature — free online file scanner. It allows computer users to upload files up to 20 MB that might raise concerns. Once the document is submitted, it is scanned with certified repair technology, and the results are provided within several minutes. This option is a great way to check files that have been sent to your email box by unknown people. Before opening, it is essential to make sure that the document is safe and won't carry the payload of the ransomware or other dangerous cyber threat. Also, keep in mind that this feature is entirely free to use. Thus, those who require small analysis and protection can enjoy this online file scanner at all times. Although, further protection of the computer requires you to download the software and activate it with Reimage License Key before usage. While every Reimage Repair review explains the features of the software, it has rarely been compared to other security programs. While both programs are safe and useful, they have slight differences that make one better than another. There are some differences between these programs as well because the software appears to have more features, for example, it can work as a PC optimizer while Plumbytes cannot. Besides, Reimage Repair provides a feature that helps to restore lost, corrupted or damaged Windows files, and that is a handy feature, to say at least. Although the whole process takes more time to scan the entire computer system than Plumbytes does, it covers more areas and detects security, hardware, and stability issues. Full Reimage vs. Plumbytes review can be found here. My old anti-spyware has recently expired, so I’m currently on the lookout for some new virus-fighting utilities. After a little browsing on the web, I managed to find Reimage Repair, so I was wondering if this software would be enough for the protection of my PC? I’ve read some very different reviews on this application, and I’m not sure which ones I should trust more. Answer: There are multiple opinions on the web about nearly every product that exists; however, this does not mean that every view is worth taking for granted. In fact, after the recent collaboration with Avira Antivir, Reimage has now improved its virus detection and elimination capabilities and can entirely be used as reliable protection against viruses. I’m planning on obtaining the program. However, I have noticed that there are a few versions of this software. What is the difference between Reimage Express and Reimage Repair? I do not need a very powerful antivirus since I’m not a very frequent PC user but still would like to feel safe on the Internet. I need some advice on which one of these programs should I better choose. 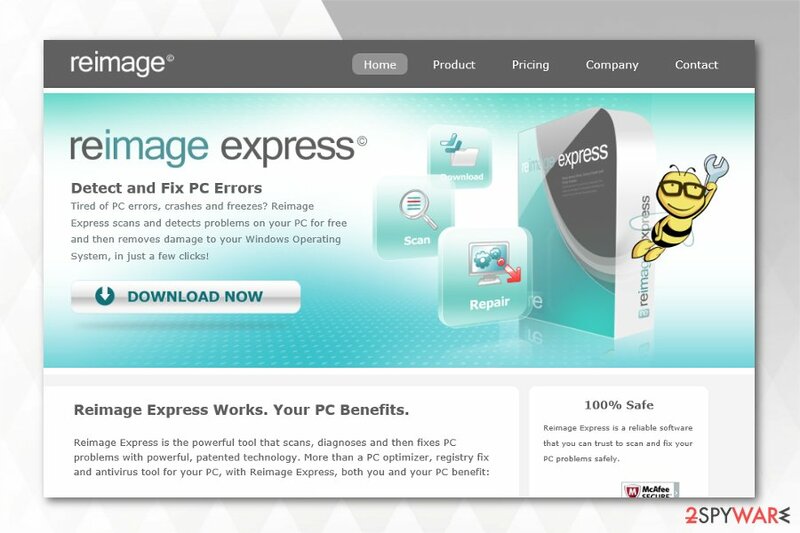 Answer: If you are not a regular computer user, and perform some minor operations, Reimage Express should fully satisfy your needs. It will scan your system and report back the simple errors it detects in your system. However, if you use email, browse the internet for information or download free software from the Internet, then you might need much more sophisticated protection. 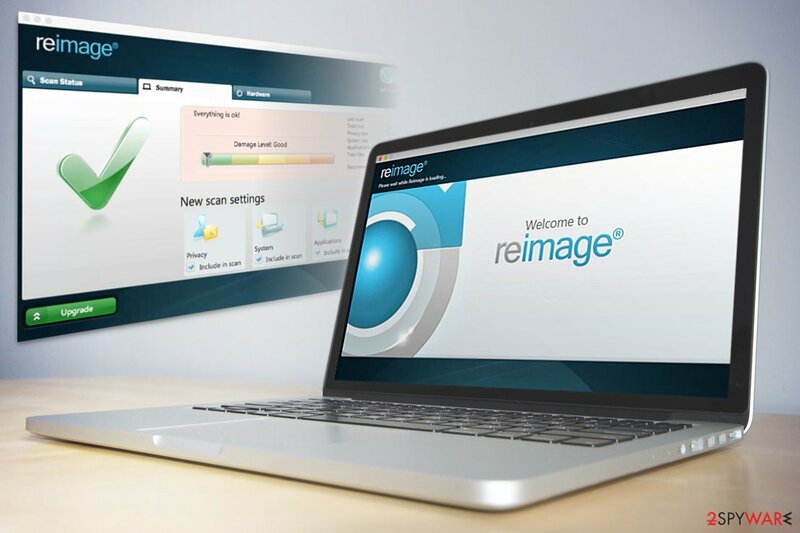 Reimage Repair is a premium version which gives you much more features. It can fix the damage caused by viruses, replace the damaged files with new ones and, on top of that, you will be able to access tech support by phone or email 24/7. If your safety on the Internet is on your priority list, you should unhesitatingly opt for the premium version of the software. You will be provided with Reimage PC Repair license key which will allow you to enjoy all its features. Answer: This question appears almost as often as the users ask “is MacKeeper app legit?”. Fortunately, unlike the mentioned program, Reimage is absolutely safe to use. The only information that is collected on your PC is the technical data required for the repair of the virus damage. You can be sure that any of your personal information, which you are required when purchasing this product, will be shared with or sold to the third parties. Also, we do not make copies of the files on your computer or store them on some remote servers. You can safely download this program and be confident that your data are protected. Is Reimage free to download? Answer: The first system scan with Reimage Repair is free of charge. However, if the program finds issues that it is capable of fixing, it will ask you to pay for it. However, the full program's version is full of essential features needed for virus prevention, detection, and removal. Once you download the software, you will be provided with the key which is necessary to activate the software. 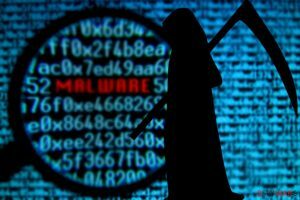 If you encounter sites offering the software for free, there is a substantial risk that the software is counterfeit and potentially malicious. If you want an entirely free tool, you can download the Reimage Express which scans the system and gives you a full report about its status. It can also fix fundamental errors and problems. ^ Gabriela Vatu. Assess you computer's stability and discover any possible security issues with the help of Reimage. Softpedia. Security related reviews. ^ Edward Mendelson. Reimage - a unique Windows repair service . PCMag. Leaders in tech, gaming and shopping. ^ REinstalling system with Reimage. Ugetfix. Help in fixing computer-related issues. ^ Charles P. Jefferies. Reimage is dedicated for Repairing Windows. Notebook Review. Leading source for news, reviews and comprehensive evaluations on notebooks, computers. This entry was posted on 2018-06-01 at 04:09 and is filed under Parasite removal tools, Software.